I hope everyone had a wonderful time in Houston touring the United Salt plant. It was a great opportunity to learn more about an ingredient that is so important to our industry. Thank you Ron Dobbs for hosting and United Salt for sponsoring this event. We have two exciting Lunch ‘n Learns coming up in March and April. We will have a screening of the documentary “Food Evolution” in March. The documentary explores the science behind GMOs and how it has shaped the publics perception. 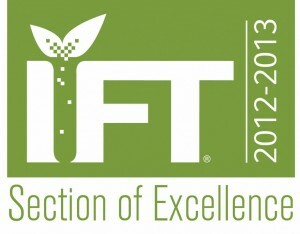 Also, Dr. Gordon will be giving a presentation as part of the IFT lecture series in April. He will be speaking about the interactions among functional foods and the microbiome. Both event will give us interesting insight on these two hot topics in our industry.